Wall pocket system has three pockets that lock together with ST pins. Unique ST Pins allow you to stack pockets together without putting additional holes in your wall. 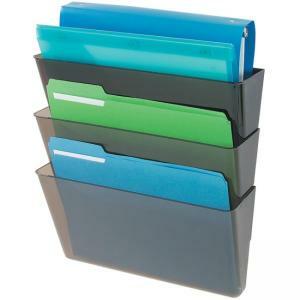 Wall pocket holds letter-size files and documents. Wall pocket set includes tape and screws for wall mounting. Mounts with ST Pins or double-sided tape.